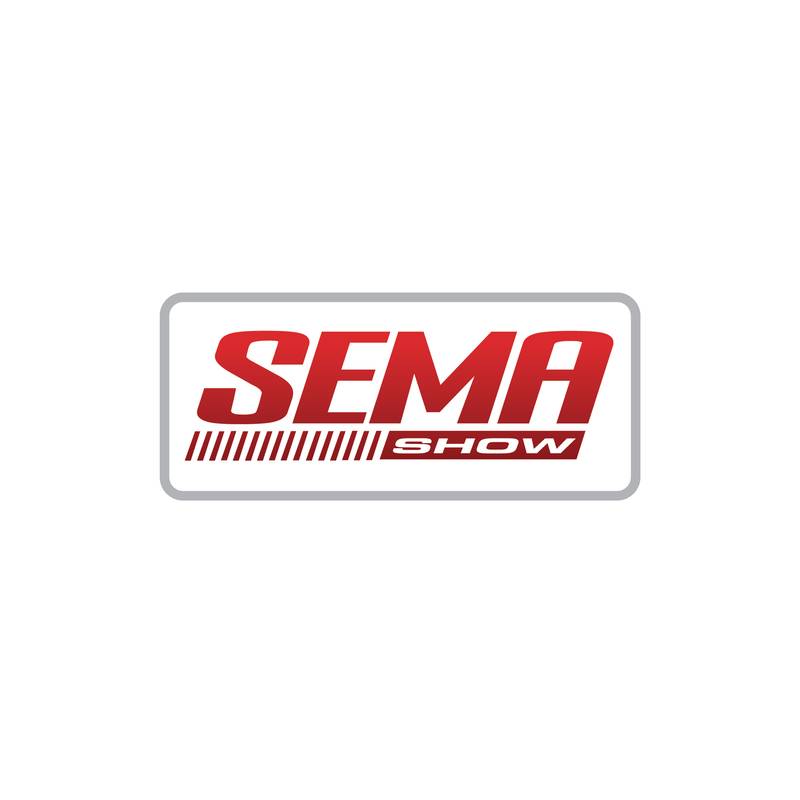 Gale Banks Elected to the 2007 SEMA Board of Directors! How can I help SEMA today? Well, I¹m a futurist. My entire career has been about what¹s next.  Through the decades, we at Banks have opened new markets in marine engines, turbocharging, truck and motorhome power systems, turbocharged tuner cars, diesel power systems, electronic tuners and exhaust brakes. Plus, I¹m proud to have worked for many major car and engine manufacturers in defining their future products. [gîr-hed] noun. A person with a strong interest in anything mechanical or technological, specifically anything automotive. 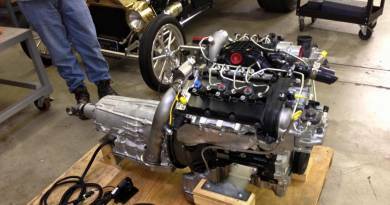 A hot rodder, off-shore world champion and land-speed racer, Gale has a passion for engines that has led to numerous speed records over the years. 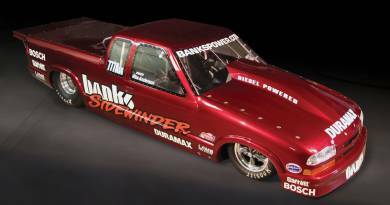 In 1960, Banks set his first speed record (189 mph) with a modified ‘53 Studebaker. In the ’80s, his World’s Fastest Passenger Car (283 mph) and World’s Fastest Pickup Truck (210 mph) shattered records. And in the ’90s, the Teague/Welch/Banks streamliner became the World’s Fastest Single Engine Automobile at 432 mph. 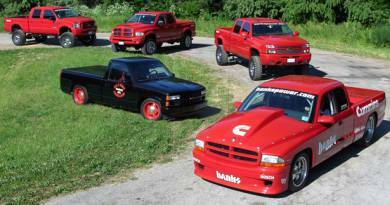 In 2002, he broke his own record for the World’s Fastest Pickup with his Sidewinder® Dakota diesel (222 mph). Now he’s taking diesel into road racing and drag racing. [en-juh-neer] noun. A person trained and skilled in the design, construction, and use of engines or machines, or in any of various branches of engineering. Since selling his first engine in 1958, Banks has never stopped looking for—and finding—ways to extract more power from an engine. 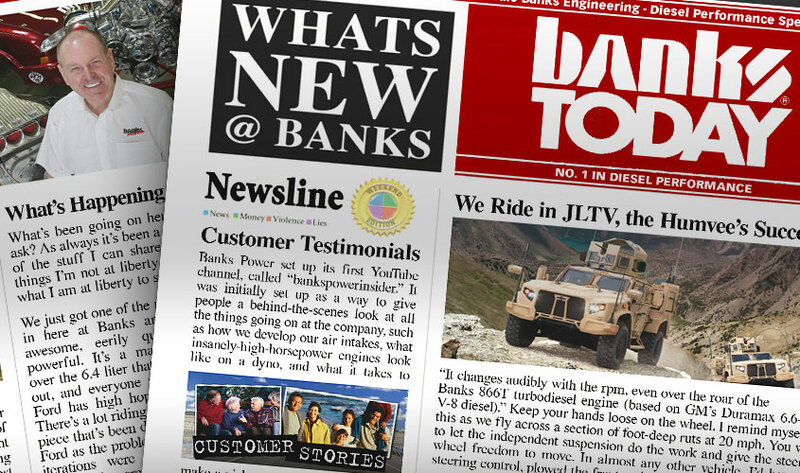 From his automotive and marine engines of the ’60s, to the first PowerPack® engineered power system in the ’70s, Banks has fathered the diesel performance industry. Along the way, he has helped countless owners of trucks and motorhomes achieve greater power and efficiency. He’s worked with Buick, GM, the US military, and even Jay Leno in the design and construction of vehicle and engine solutions. [ahn-truh-pruh-nur] noun. A person who organizes and manages any enterprise, especially a business, usually with considerable initiative and risk. Companies traditionally don’t start when the founder is a teenager, but then, Gale has never claimed to be traditional. At 16, he opened his first shop—CP Auto & Marine—in Lynwood, CA. His business moved to San Gabriel, CA in the 60s, and later to his current 16-acre campus in Azusa. His entrepreneurial spirit also led him to start up numerous programs through the years, from becoming the GMC dealer-specified turbo option in the ‘80s to recently being named the exclusive worldwide distributor of GM Duramax engines. [lee-der] noun. A person who rules or guides or inspires others. Gale’s reputation in the automotive and marine engine industries provided many opportunities for him to guide and inspire others. Examples include consulting on the JPL/Cal Tech Engine Program, developing a hydrogen-burning internal combustion engine, and building prototype turbocharged Volvo engines as a consultant on NHTSA’s Large Research Safety Vehicle project. He taught graduate-level turbo-engine design at General Motors Institute, and is currently on the Automotive X-Prize Foundation advisory board. [in-uh-vey-ter] noun. Someone who helps to open up a new line of research or technology or art; pioneer. Gale started the diesel aftermarket performance industry in 1982 by creating a turbo system for GM diesel pickup trucks. It later became the GM dealer-specified turbo option. He also built a limited run of Banks Twin-Turbo GT Pontiac Firebirds and Chevrolet Camaros—super cars the tuner car industry would later emulate. Gale championed clean diesel power with components that exceeded tough national and California diesel smoke opacity benchmarks. Today, he’s working with DaimlerChrysler in the prototype performance diesel concept vehicle program.